Country Estate Fence Company Inc. 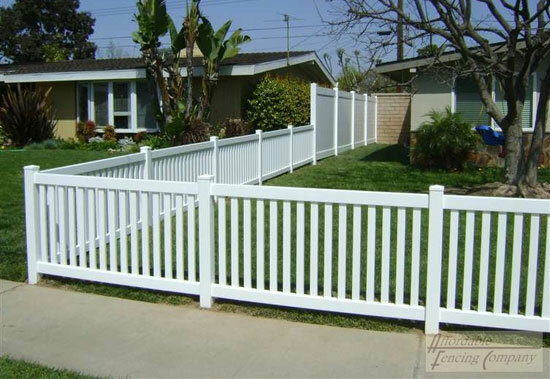 The First Vinyl Fence Company on the West Coast! 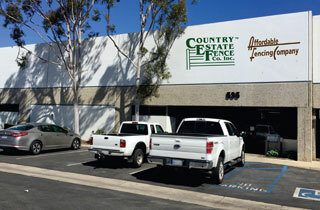 Affordable Fencing Company was launched by the owners of Country Estate Fence Company in 1984. 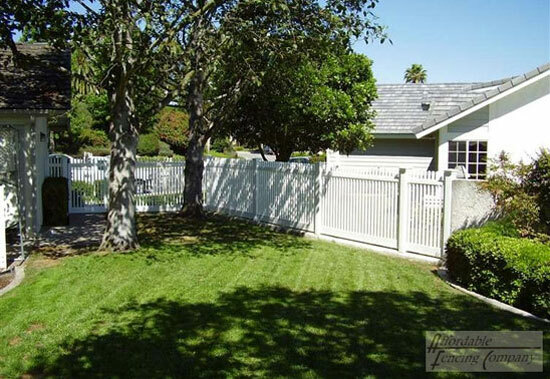 While Country Estate Fence Company exclusively sells and installs the finest vinyl fence systems on the market, Affordable Fencing Company was started in order to meet the needs of residential and commercial customers throughout Orange County, Los Angeles County, and Riverside County, who were looking for a high-quality fence, gate, or patio cover at an economical price. Affordable Fencing Company is fully licensed and insured and has more than three decades of experience. We've served more than 100,000 satisfied customers over the years and specialize in designing, constructing, and installing vinyl, glass, wood, aluminum, and cinder block fences, gates, and railings, as well as vinyl patio covers, arbors, and gazebos. We excel at custom designing beautiful, long lasting vinyl fences to suit each client's budget, lifestyle, personal taste, and needs. We work directly with homeowners, do-it-yourselfers, property managers, community associations, and general contractors to realize their vision. Affordable Fencing Company offers an extensive range of styles and colors for vinyl fences, gates, and patio covers in order to perfectly complement any property and increase its value. Our vinyl products are a great investment as they are durable, versatile, and virtually maintenance-free. While they may look similar to wood, vinyl (also known as PVC or polyvinyl) doesn't require painting; will not rot, peel, flake, rust, blister, or corrode; and won't be susceptible to insect damage. All of our vinyl fences, gates, and patio covers are backed by a 50-year transferable guarantee. 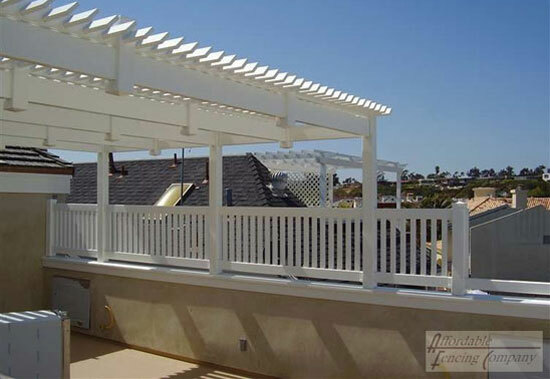 Clients throughout Orange County, Los Angeles County, and Riverside County praise us for our great selection, durable craftsmanship, and fast installation. Our highly trained professionals complete fencing projects on time and within budget, with great attention to detail and workmanship. 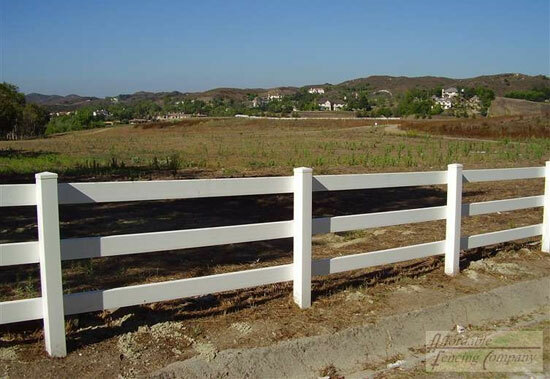 We maintain a large inventory of raw fencing materials and hardware, and sell directly to homeowners and contractors. 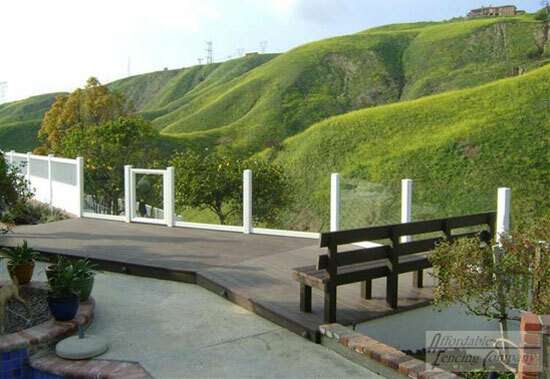 Call today to schedule a free on-site estimate for your new fence, gate, or patio cover in Orange County, Los Angeles County, or Riverside County. 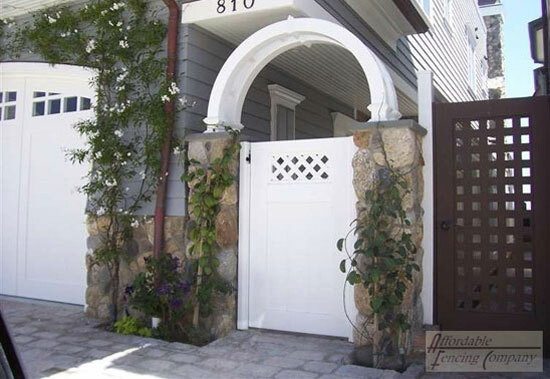 We welcome projects of all sizes and types, from a single pedestrian gate to a property fence thousands of square feet long that features aluminum railing between cinder block pillars. 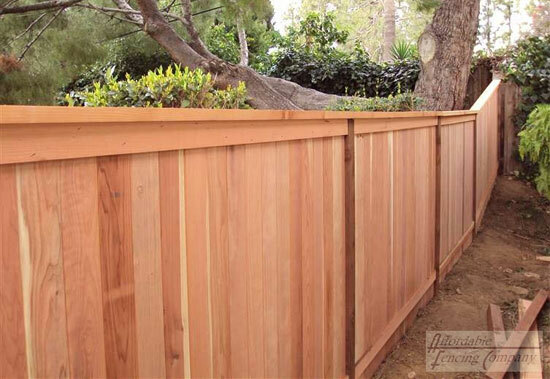 Regardless of the scope of your fencing project, we always provide excellent service, lasting results, and competitive prices. Contact Affordable Fencing Company Today! Our showroom, conveniently located close to freeways, is open to the public Monday through Friday - 9am to 4pm. My experience with your company was extraordinary from start to finish...I can honestly say I've never been more impressed with a company. I dealt with 8 people, including the receptionist, and EVERYONE displayed the same attitude.